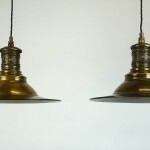 A set of 4 mid-century ceiling lights stamped LB & SCR. 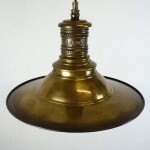 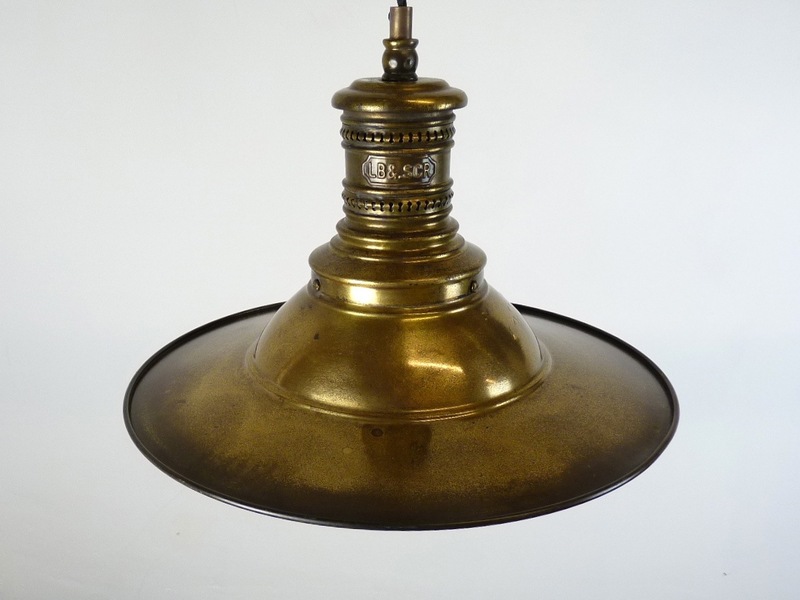 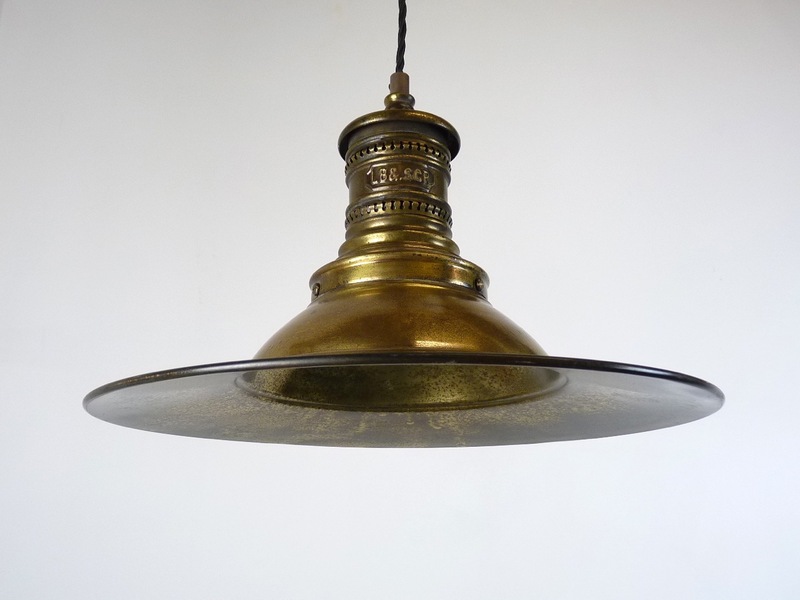 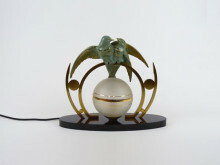 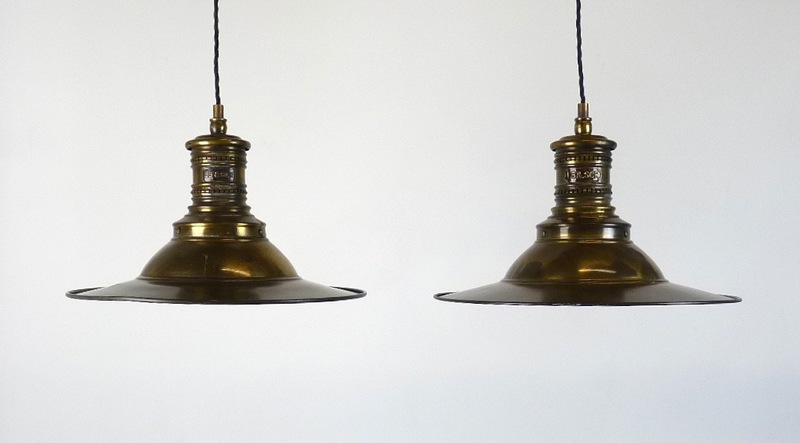 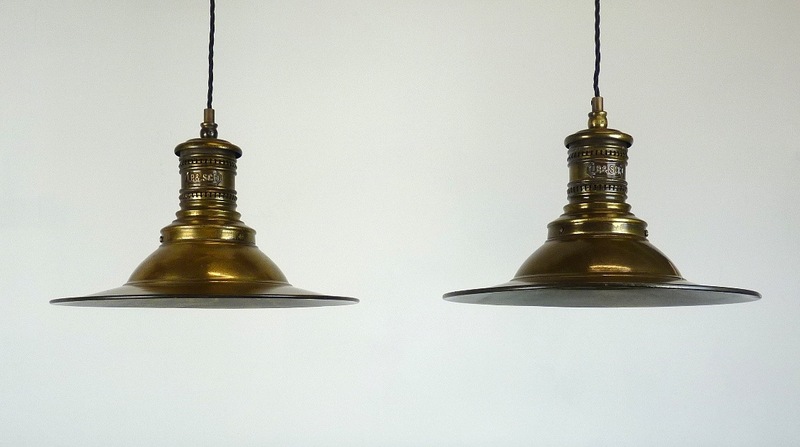 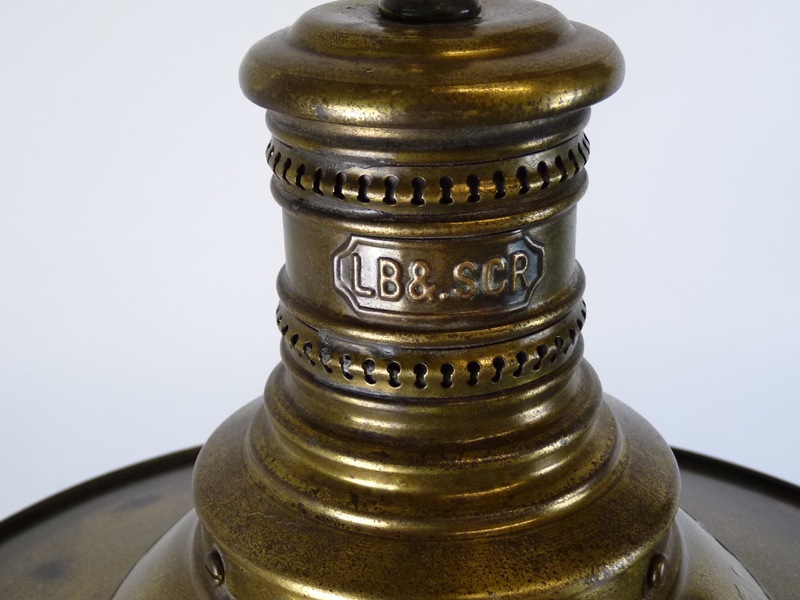 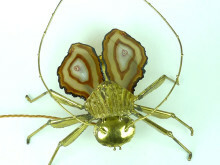 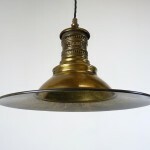 The lights are solid brass which has a wonderful patina, adding a richness and depth. 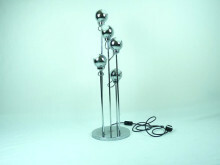 They measure 35cm in diameter and 23cm in height. 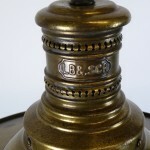 There is some minor wear consummate with age. 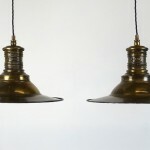 All have been rewired to take modern light fittings.